Hi there! 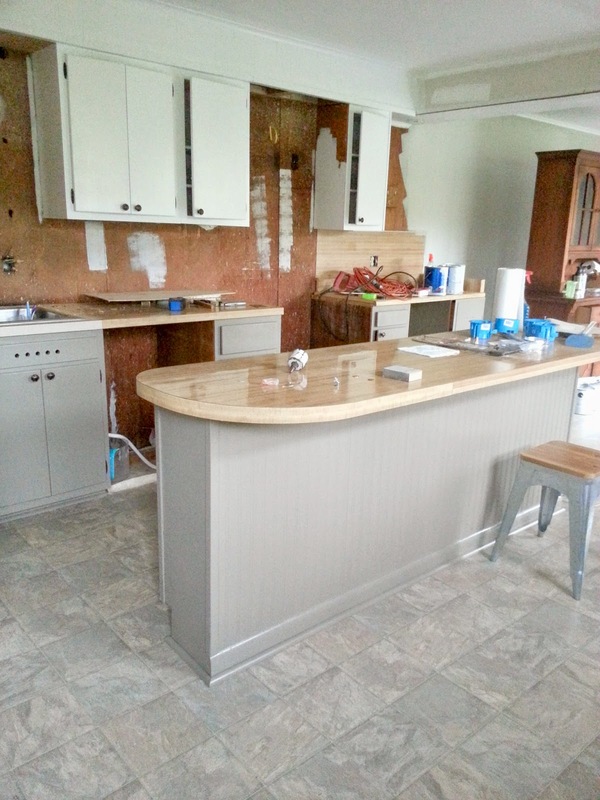 I promised a kitchen update, so here goes! I've been working on our farmhouse kitchen for a little over a week now, and slowly it is transforming into a kitchen that feels like me! This afternoon I snapped a few pics with my cell phone so I could share my progress, so please don't mind the poor photo quality. Here is a before shot. 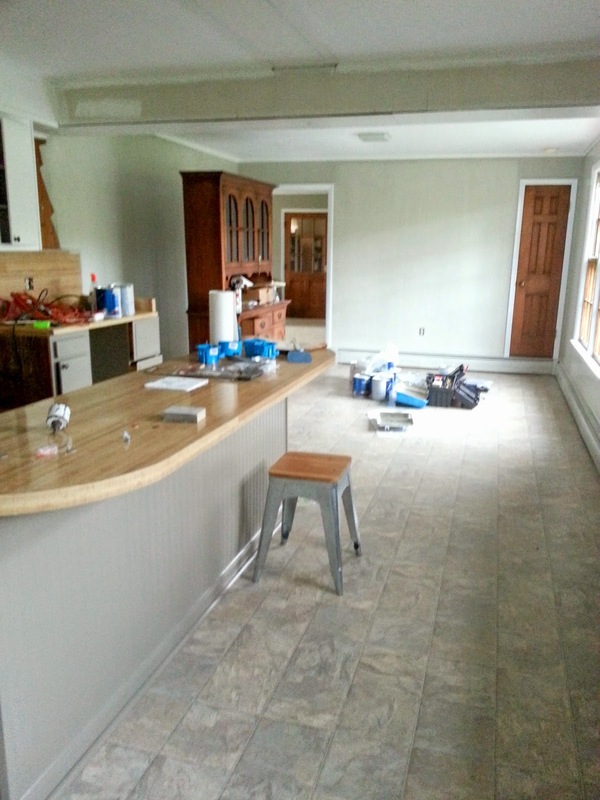 One of the biggest changes so far came from tearing down those cabinets over the island. It immediately made the kitchen feel so much bigger and more open. 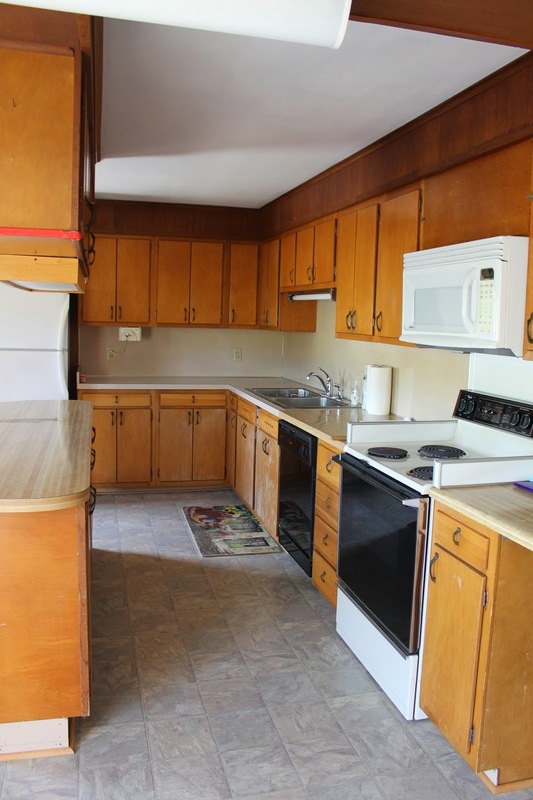 The cabinets were so low that we had to bend down to be able to see the person on the other side. I also took down the three cabinets above the sink area, and added two recessed lights in place of the old florescent fixture. I would like to add some open shelving made of reclaimed wood on that wall as well. I love the look of two-toned cabinetry. 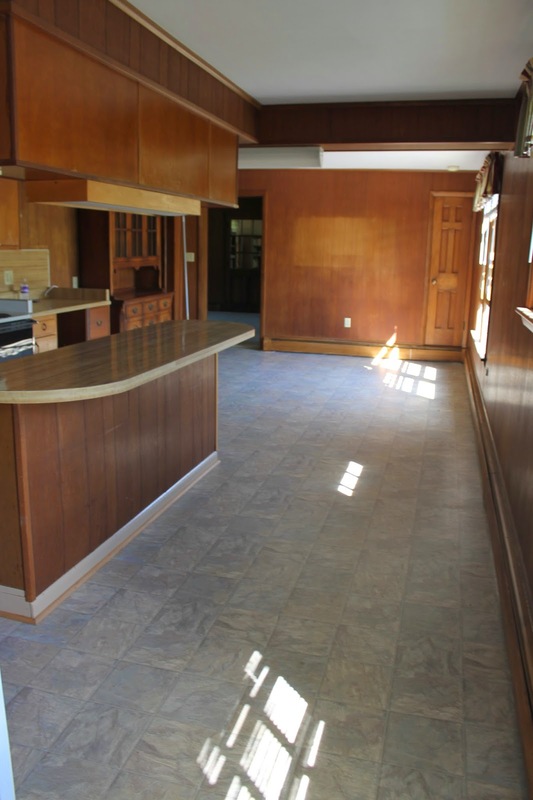 Our last kitchen sported two-toned cabinetry, and now our farmhouse is as well. I tossed around the idea of doing something different, but at the end of the day this is the look I really love, so I decided to just go with it! 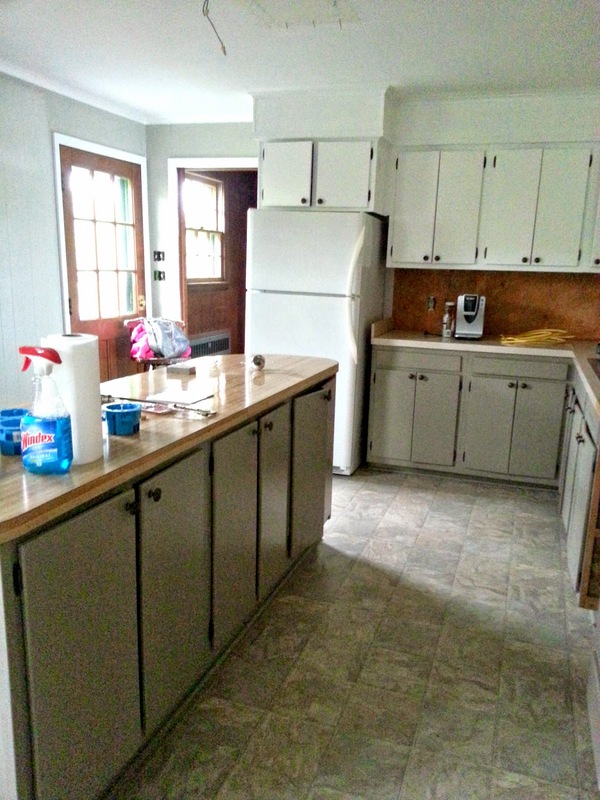 The upper cabinets are Valspar Ultra Pure White, and the lower cabinets are Valspar Java. Something I did different this time around in comparison to our first house is I painted the soffit white just like the cabinets. In person this really helps draw your eye all the way up and prevents things from looking to choppy. Another difference is the hardware. I chose oil rubbed bronze cabinet hardware. It has that farmhouse feel I'm going for and goes along perfectly with the pendant lights I chose to go over the island and our new faucet. 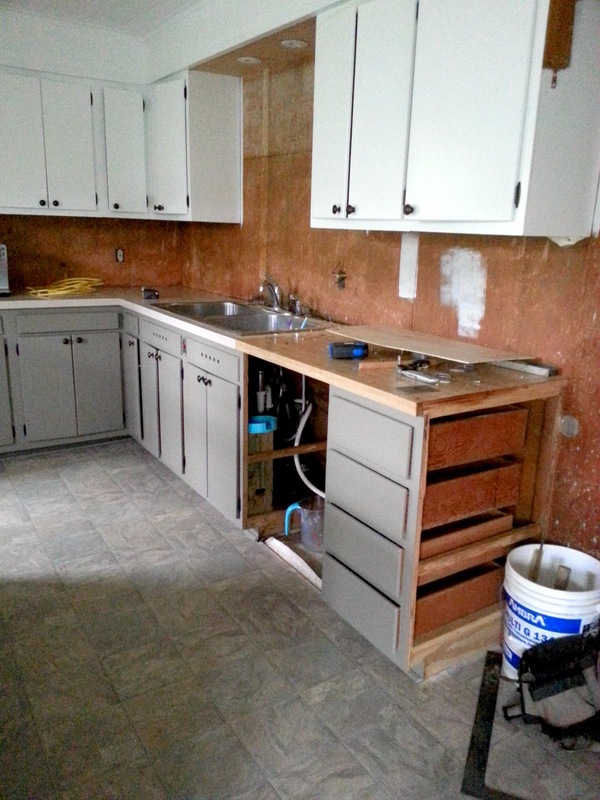 Hopefully those things will go in later this week as well as the backsplash! I wallpapered over the paneling on the island with bead board wallpaper that I had left from the built-ins in the living room. I am on the hunt for some vintage looking bar stools in a darker color, maybe wooden ones? 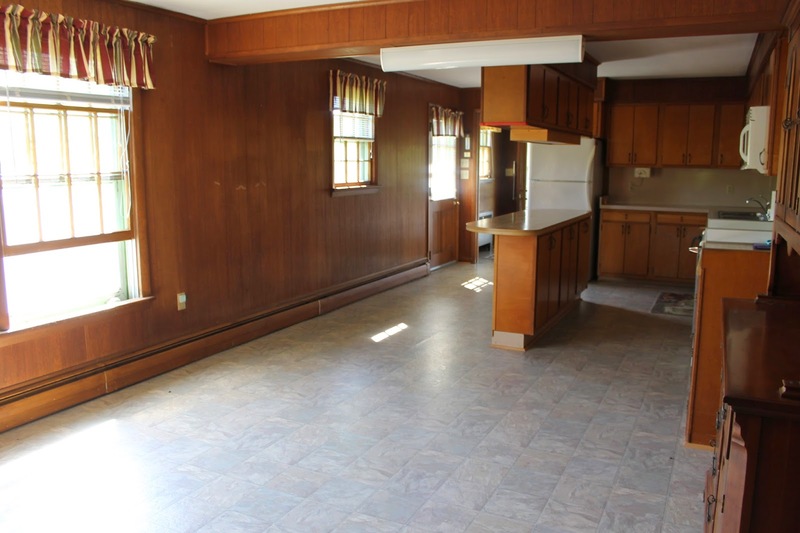 As for the other soffit, that goes from wall to wall across the kitchen, it has to stay. We took a piece of it down to see what was inside, and unfortunately it is covering up pipes. I'm hoping that painting it white to blend in with the ceiling will help it not stand out so much. Right now it only has primer on it. More updates to come soon! Thanks for visiting! What a difference paint can make! It looks great! All I can say is wow! You have been working so hard and it shows! It is stunning! And the two tone is perfect! Thank you Nicole! I've spent every spare second on this house this summer, but I think it will be worth it when we are finally moved and settled in. Your kind comments always make my day! It's coming along beautifully! 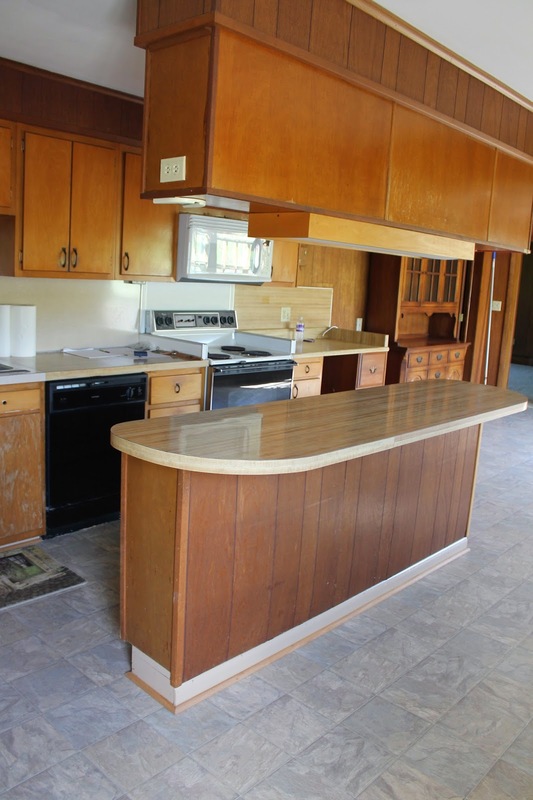 Love the two toned cabinets...that made a world of difference in opening up and brightening the space!